Our culture has made many wonderful advances to ensure the safety and well-being of children. But we may have taken this too far. Many parents today are so focused on what their children want that they have lost perspective on what their children need. They need basic life shills. Teaching children to clean and help around the house is just as important as teaching them to bathe and brush their teeth. An adult who has no clue how to tackle a job and finish it, is as debilitated as an adult with brown teeth and body odor. If your child graduates from high school and his only skill set consists of playing video games, eating junk food, and complaining, you have set him up to fail. I learned to clean at a young age. With great patience my mother taught me to sew, cook, iron and clean house. You couldn't have convinced me then, that it was necessary, but you can now. Wise is the parent who requires children to learn responsibility and acceptable performance standards. 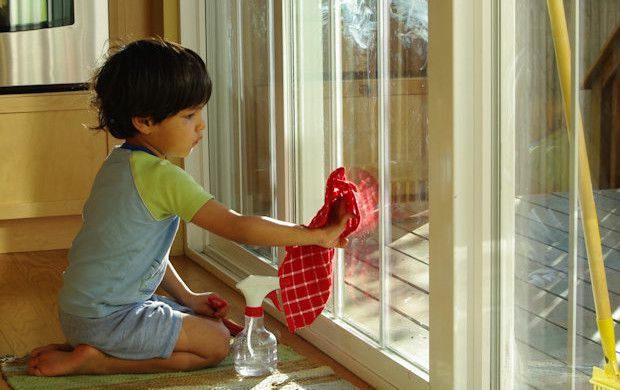 As you teach your children these values, be sure to emphasize that work around the house is a shared responsibility. Don't label some jobs as strictly male or female. Each child should know how to do simple cooking, clean the house, do laundry and take care of pets. Learning these skills will do a lot to make their adult lives happier and more productive. Cleaning might be a challenge for your children, especially of they aren't used to it , but what a gift to give your kids!! Pick up a copy of my book 'Teaching Children to Clean" and get started today helping your child have a better life. The book is available on Amazon.